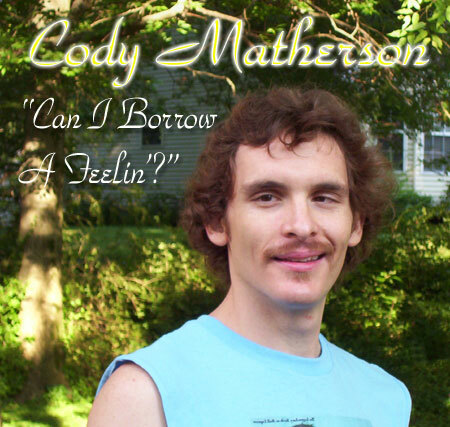 Although it seems pretty unlikely to me, the internet has plenty of references of this bloke named Cody Matherson and his infamous album titled “Can I borrow a feelin’?”. What I am really questioning down here is if this album actually ever existed or not. According to Wikipedia, Cody was born on 1959, in Pflugerville, Texas, but it wasn’t before 1978 that this album got recorded and published. The magazine Rolling Stone rated this fella as a cross between Barry Manilow, Lynard Skinnard and Elvis. Rumours said that even legend such as Bob Dylan after met him at a party in 1988 told him “Don’t stop what you’re doing, man. We’re all inspired by you and your killer mustache.” Yeah, right. Sure. But let’s believe for a moment that all of this is true. Cody has maybe not being blessed with beauty but hey, he could be without a shadow of a doubt a terrific singer/musician. What is really leaking down here is the album cover. It undoubtedly appears as a photoshop work, the dude and the fonts have been applied later with a software over the background image, fonts are too modern and this kind of graphic wasn’t available in the late 70s. Would have any serious producer (or even himself) allow this record to get published? Seriously? Wouldn’t have anybody maybe suggested that another shot of the singer should be taken? Would have that sleeveless t-shirt the best item to be immortalised forever in an album cover? Would you? The mysteries tied to this album have been quickly spread over the world, social networks profiles have been created under his name but no other image apart for that disturbing album cover has ever found. No audio tracks, no live tracks, no signs of existence of Cody Matherson, all we have left is a simple photograph of a moustached boy and nothing more, would love to be the devil’s voice here and review his music but unless you can prove me wrong, “Can I borrow a feeling?” will never be heard. Ever.